About a month ago, I drove to Charlotte to finally give my mom her birthday present, a mere six months late. 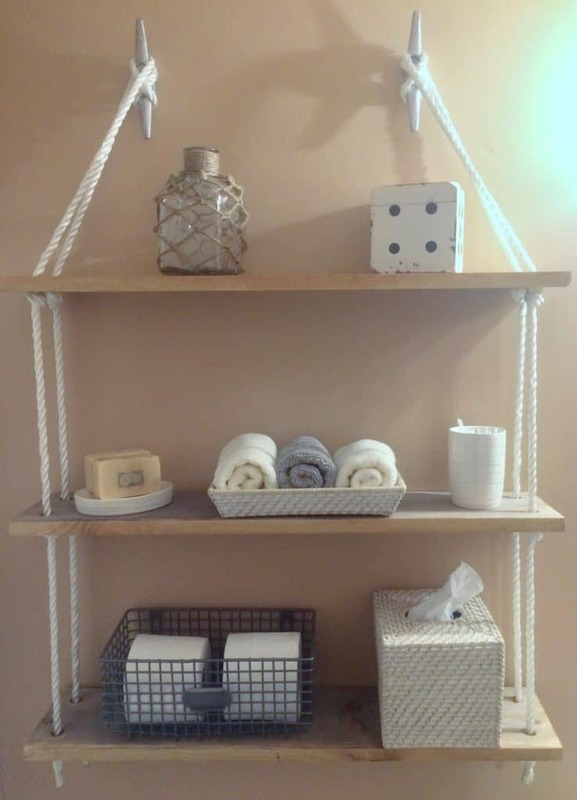 Earlier last year, my mom visited and exclaimed how much she loved the rope shelving we had put in our half bath downstairs. I quickly told her I’d be glad to make more for her, but then realized in order to have open rope shelving, you’d have to remove what was there before, fill holes, paint, etc. So that quickly died down. 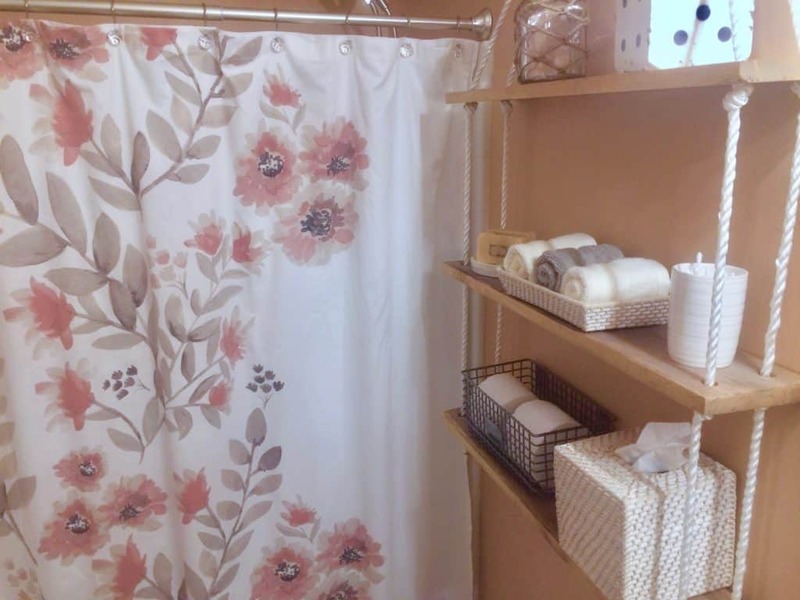 But a few months later I decided to tell her that for her birthday I would give her rope shelves, but I’d also come renovate her bathroom for her in order to put them in. 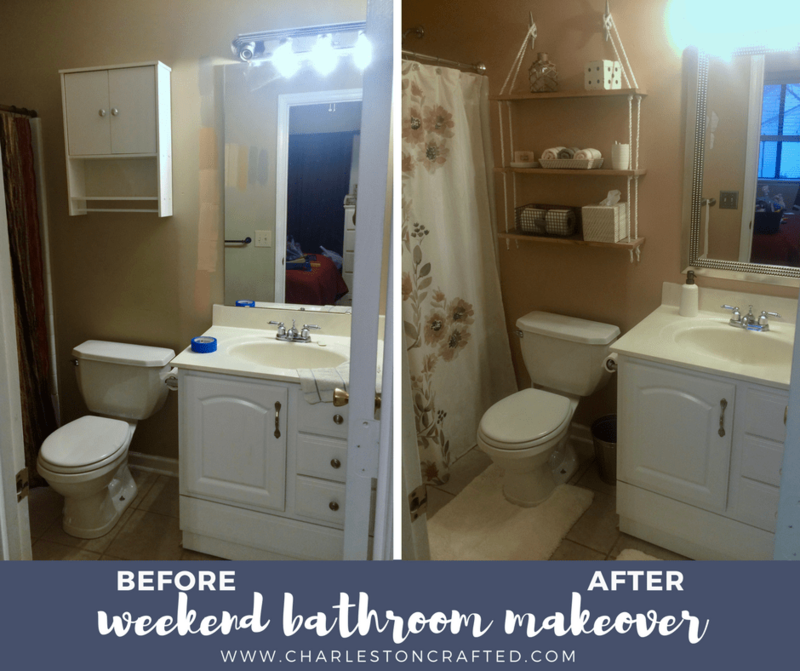 So, I undertook a two day bathroom makeover for my mom and it made all the difference in the world. 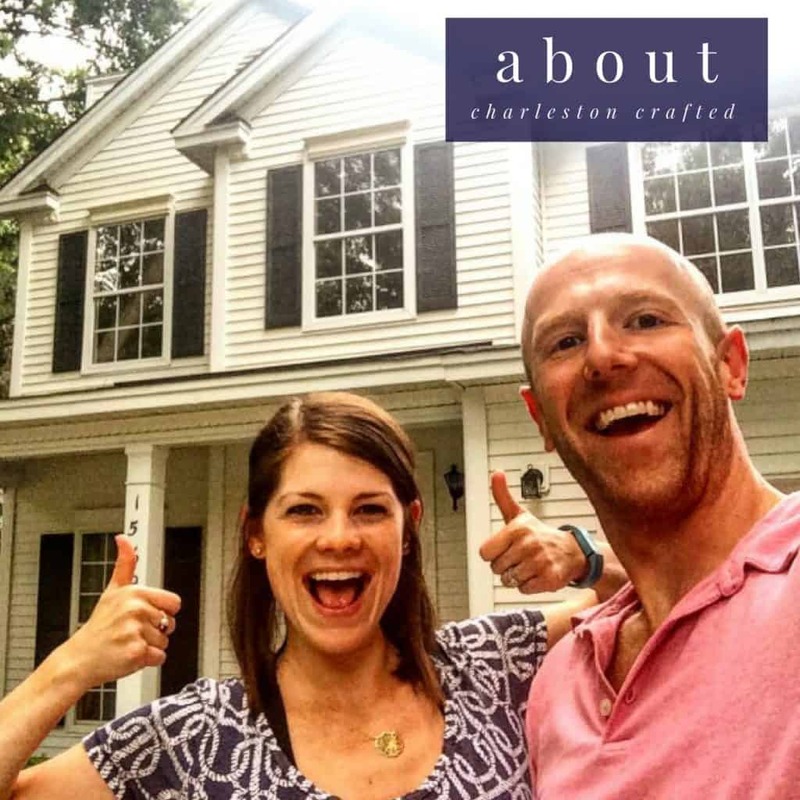 I drove up Friday morning and kicked off the remodel just after lunch. First thing was demo. 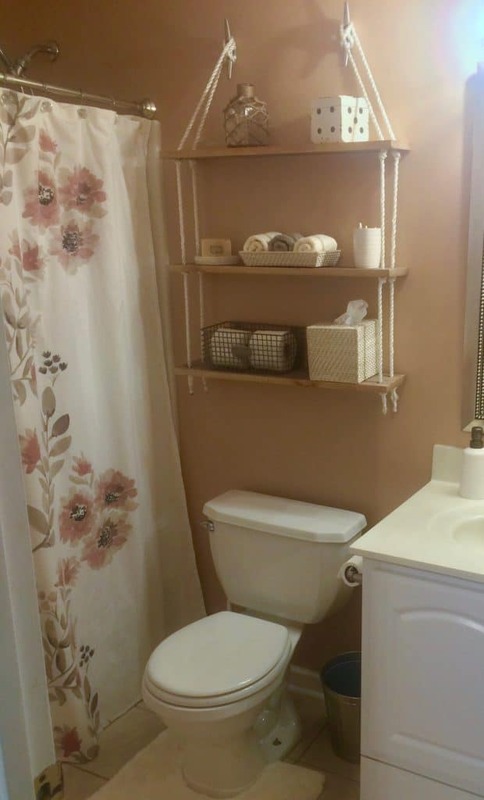 I had to remove the old cabinet above the toilet, remove the builder-grad mirror, replace the light fixture, remove all the rods and the curtain. Next, I patched all the holes that would be visible and then taped everything off using Frog Tape, which is truly, truly better than standard blue painters tape. After everything was ready, I painted the whole room using Valspar’s “Sheer Pout,” a pinkish beige. 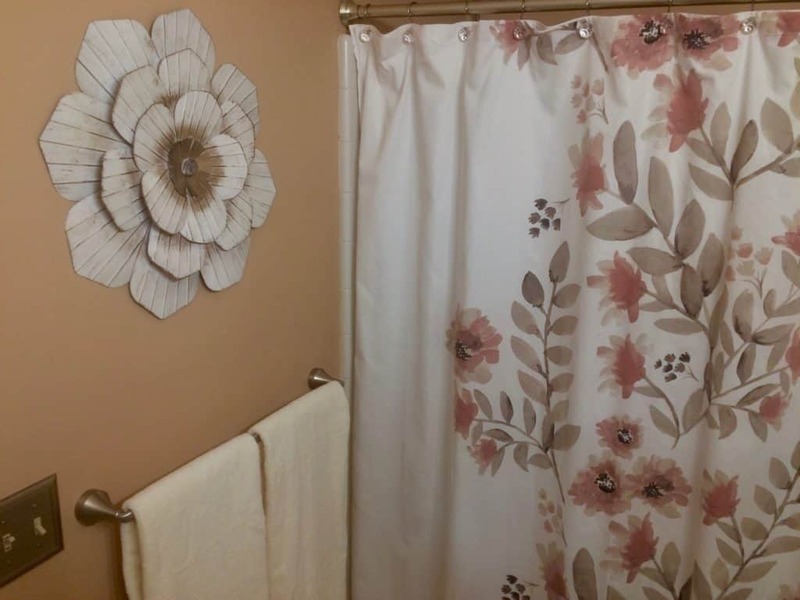 It looks really nice and went really well with her new shower curtain. Now that the base was set, it was easy to build this place back up. 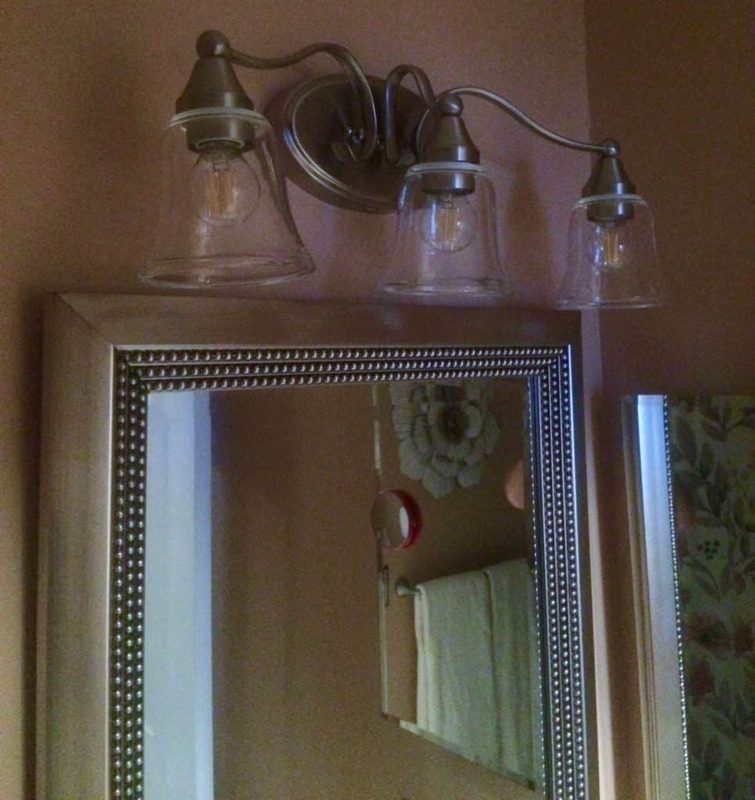 New light fixture, mirror, towel and toilet paper rods, shower rod/curtain, and art. And not to mention the rope shelves, which were the whole start to the birthday present. In the end, the whole room looks light, airy and modern. I told my mom that I felt bad that she ended up spending so much money to buy new things for this room when it was supposed to be a present, but she told me that my offering to do it was the kick in the pants to make her finally do something she has been wanting for a long time. I was very proud of her. She loves the room and thinks it is absolutely stunning. We also went ahead and hung some other things in the house, moved some things, took a load to Goodwill and all around made improvements. 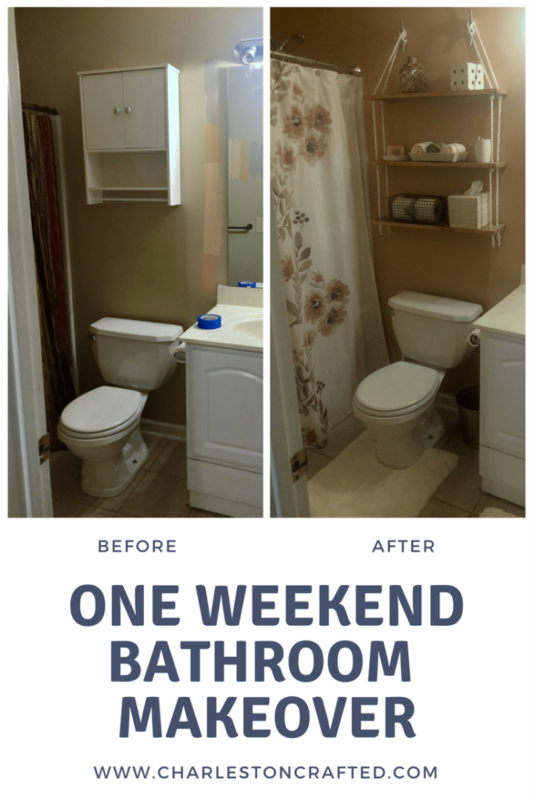 She was so happy with this two day bathroom remodel and I was glad to give it to her. What a great refresh! And I know your mom appreciates it. It is always wonderful to get that boost on something you been wanting to do, but have been putting off. Thanks Nikki! She definitely does and she was happy I accidentally pushed her to do it. It turned out great and was so easy!